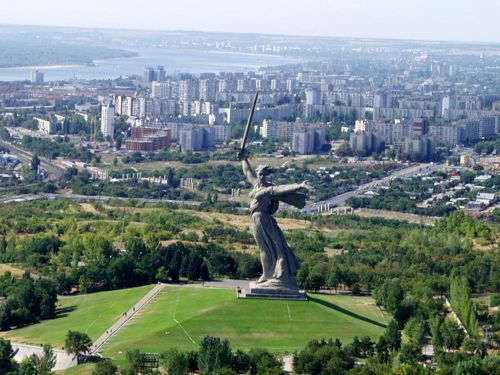 Volgograd is one of the cities in Russia that tourists groups prefer to visit. This is a historic city that takes its origin back to several centuries ago. Throughout the history, the city had several different names such as Tsaricin and Stalingrad whereas the historical glory of this place is known all over the world by the biggest battle in human history and the turning point of the WW II. The forthcoming summer of 2018 will once again catch peoples attention - 2018 FIFA World Cup! No matter whether you are organizing a traveling group to Volgograd or you are a professional agency, you can always apply for our services to rent a high-quality coach for the traveling group. 8rental is one of the most well-known car rental company in the area. Our company is aware and updated with all events that happen in Volgograd and for this reason, we have prepared one of the most modern buses and minibusses with a driver fleet for hire at the most reliable costs. Just get a quote right now and make your reservation. There should not be any problems with getting allocation slot anyway but if it is done in advance that certainly will make life easier for us and the whole traveling group. If you are wondering how to do it, here are some steps to follow: Remember that if the tickets on the tournament are not bought yet the tourist visa to Russia will be needed and reservation of our services can be complementary to that. tell them all of your requirements. What do customers get by hiring a bus with a driver from 8rental? All of our customers can be assured that they will receive the best top class service possible. Our firm has been operating in this market for many years and established a perfect relationship with a large number of authorized dealers, leasing, and financial companies. It means that we always have a decent fleet of vehicles available to rent and if the circumstances are turning in the way that it urgently needs to supply additional transport, we can always make sure that we cope with demands well. Our bus fleet and drivers in Volgograd. The company can provide new and well-equipped coaches that will be loved by the travelers and provide them with incredible comfort during their travel. We supply hired coaches with a driver from manufacturers such as Volvo, Iveco, Van Hool or MAN etc. 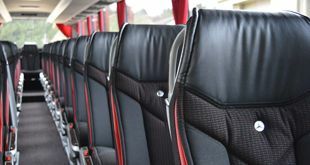 All buses are well equipped and have plenty of modern features onboard. These features include: stereo and DVD systems, TVs alongside the corridor between the sits, tea and coffee, WC as well as Wi-Fi can be installed at additional request. We will also provide with VIP coaches if such order will be made in advance. The prestige brands like Mercedes or Neoplan are available for this service. 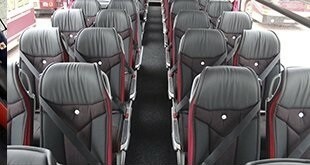 The saloon of these coaches is more comfortable, the seats are bigger so the ride will be more enjoyable. Our fleet of drivers is made up of very good professionals with many years of experience in passengers' transportation. 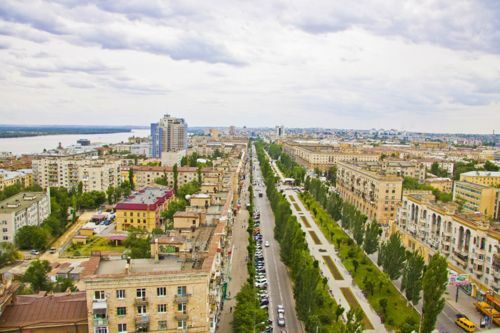 All of them are familiar with Volgograd’s streets and know the routes to take the passengers to the required destination quickly and smoothly. The employees also can speak at least one of the international languages and will give you advice on where to go, where to have a meal and where to get better deals when it comes to shopping. The drivers will give our customers the needed support when luggage handling is required. This is particularly helpful and comes as their duty at the places of arrival and departures. An important event such as the 2018 FIFA World Cup requires lots of professionalism and takes many responsibilities when it comes to providing any services during the tournament. This is exactly what our company will do better than others anybody else. Years of experience and well-established contacts enable us to be the leader of the market and giving our clients 100% satisfaction. We approach every customer’s needs individually and serve them carefully. The hire coach with a driver not only will take the visitor’s group to the stadium, to open training session, to the place of eating etc. but we can also organize plenty of other entertaining tours around the city and its surroundings. Have you made your reservation? If not do it quickly as time is flying and you will miss all the beauty of your trip!